You’ll see a prompt asking you to “Use Existing Apple ID” or “Create New Apple ID”. Tap Create New Apple ID. Now you’ll be prompted to select a country. Choose New Zealand and hit next. After you agreed, you can begin filling in the rest of your information like email, password, etc. Then press Next. Now, a verification email should have been sent to your email you provided. Tap “Done”. Now you should be prompted to sign in, and if you are, use the new account you just made. If you’re not prompted, just try to download any free app again. Search up “Firefox” and you should now see it since you’re on your New Zealand App Store account! After you’ve downloaded the app, you can go ahead and sign out of that account an back into your normal iTunes Account. That’s it! 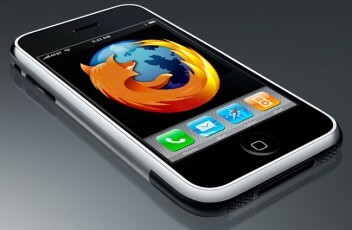 Enjoy your new Firefox app on your iPhone! Let us know if you want more tutorials like this in the future! 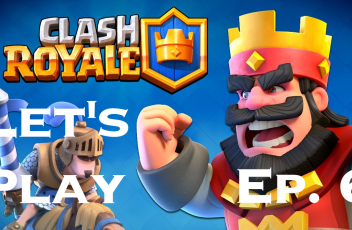 Do you remember this good old times, when games were just games? No silly in-game currencies. No irritating time limits. Just simple rules, intuitive controls and hard reality. 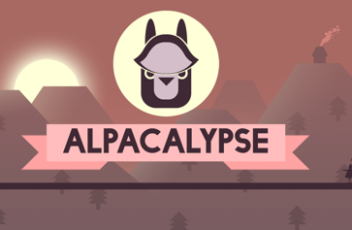 That’s why we’ve combined it all into Alpacalypse – new mobile title we’re working on right now. Alpacalypse is a modern game from the 8 bit era. The times when games were arcade oriented, easy to play but hard to master; when what mattered was your skill not willingness to purchase one of the power-ups. We called it an APS – Alpaca Perspective Shooter – featuring addictive and dynamic gameplay, beautiful graphics and cool music. 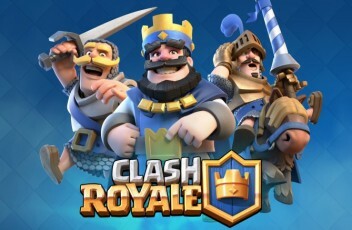 Most importantly though it’s a game that’s fair – you won’t find any in-app purchases that’d favor paying customers here. You’ll find alpacas though. Yes, there are alpacas in this game. It’s a game about an alpaca really. And not just ANY alpaca but Al. Al Pacone, the alpaca. And boy, he’s pissed right now. This looks like it’s going to be an awesome game without a bunch of micro transactions. We’re definitely looking forward to it. Let us know what you think! PimpAPic App For iPhone Coming Soon! 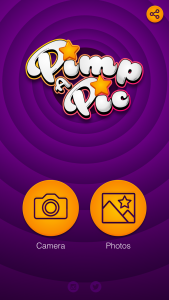 There’s a pretty neat new app coming soon to iPhone called PimpAPic. The app looks really awesome, and when we get a chance to use it we can update this further with our thoughts. For now, here are some pictures as well as a description of what the app will be like! Check below for the photos. 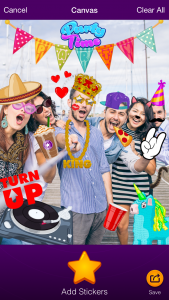 PimpAPic is the app that gives you an ability to enhance your photos by adding stickers and share it with your friends. Simply take a photo with your iOS device Camera or choose an existing one in your Photos library. 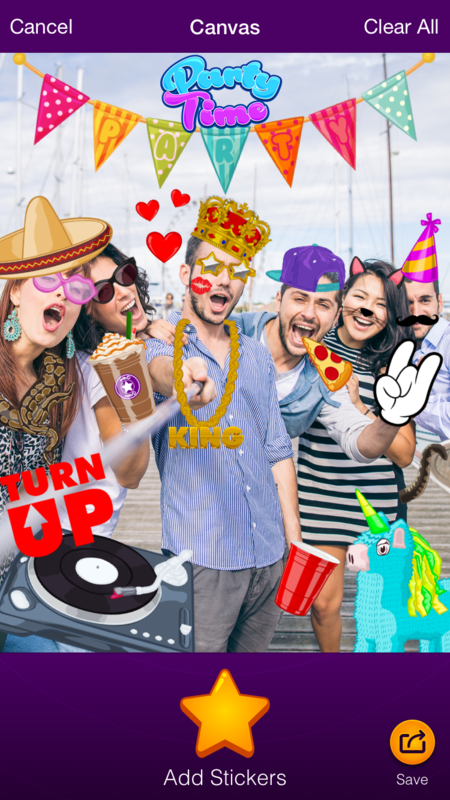 Then add stickers to your photo and place them exactly the way you like by moving, scaling, rotating, flipping and assigning order. And then share your masterpiece on Instagram, Twitter, Facebook, Tumblr, etc. or save it to your device and share it with your friends and family. 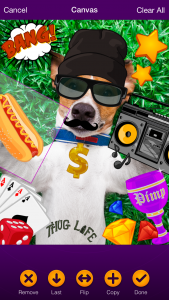 Use tons of FREE stickers to Pimp your photos and purchase premium stickers to expand your creative ability. 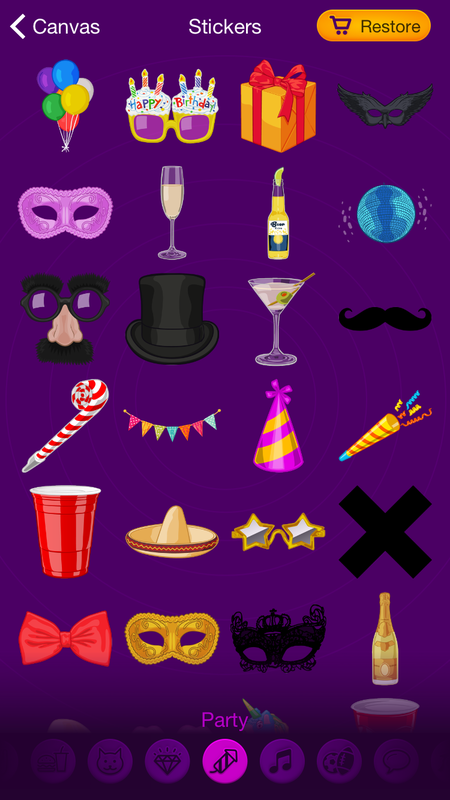 And we’ll constantly be adding new stickers and categories to the app, so stay tuned for updates. In a reward for being one of the first to get our app, during first two weeks you’re able to get a premium set of Party stickers for ***FREE*** to celebrate premiere of our new app with us! We’re pleased that you’re using our app.